Every trader wants to find the best stock picks for trading. There are several ways to do this. And no one is rocket science and any trader could find its own specific, but quite simple way to do this task. It’s looks like a very hard job to find good stock picks when there are several thousands of available stocks in the U.S. markets alone. But the solution is very simple. Just use one of the methods described below. All methods described below expect that you use some chart analysis software package that helps you to identify opportunities on the markets. I prefer to use analysis software installed on my computer but final selection is based on your needs and also on your trading style. It is possible to use some free charts available on some good online web sites. You can trade only specific market picks. 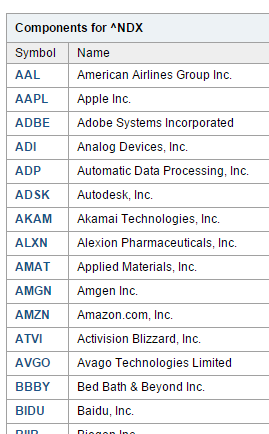 You can have a list of all NASDAQ-100 tickers (100 possible picks) and trade only them. You can select only one sector, like biotechnology companies and look for best stock picks only in this group. You should have rules for your research and for selecting the best opportunities for profitable trade. It could be based on relative strength or breakout and pullback type of strategy. 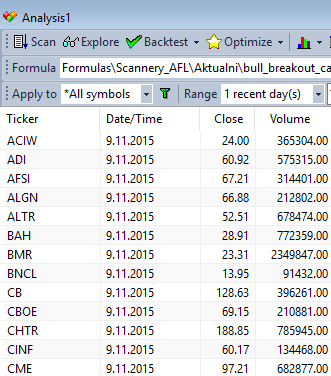 You can use a stock screener for selecting your picks. Such a screener can be used for scanning though the whole U.S. equity market to find possible candidates. You can use a market screener available on the Web or some market analysis software. This type looks for great stocks in strong sectors or weak stocks in weak sectors to find good picks. Each sector is represented by a list of tickers. You can prepare several watchlists in your market analysis software for each sector and select 10-15 picks for each sector. To compare relative strength you can use sector indexes or sector ETFs.